The 2018 Maruti Suzuki Ciaz facelift boasts a plethora of changes and here are the key features that you need to know about. 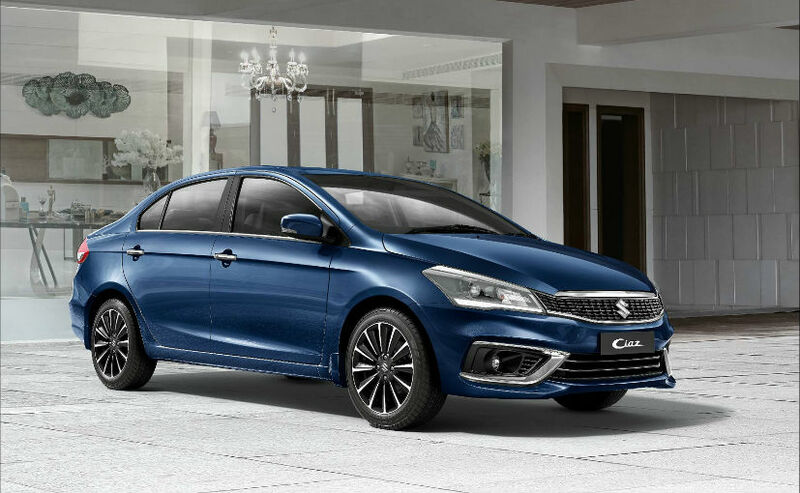 The 2018 Maruti Suzuki Ciaz facelift has been finally introduced in the country with comprehensive cosmetic changes, new features, and a new engine as well. Priced between ₹ 8.19 lakh and ₹ 10.97 lakh (ex-showroom, Delhi), the sedan retains its value quotient, while offering a whole lot more in the latest avatar. In fact, the Maruti Suzuki Ciaz was a game-changing model for the automaker and has turned out to be one of the most selling offerings in the compact sedan segment. The company has sold over 2.2 lakh units since its launch in 2014 and with the facelift, Maruti aims to improve sales of the Ciaz even further. Here are the key features you need to know about the 2018 Maruti Suzuki Ciaz facelift. 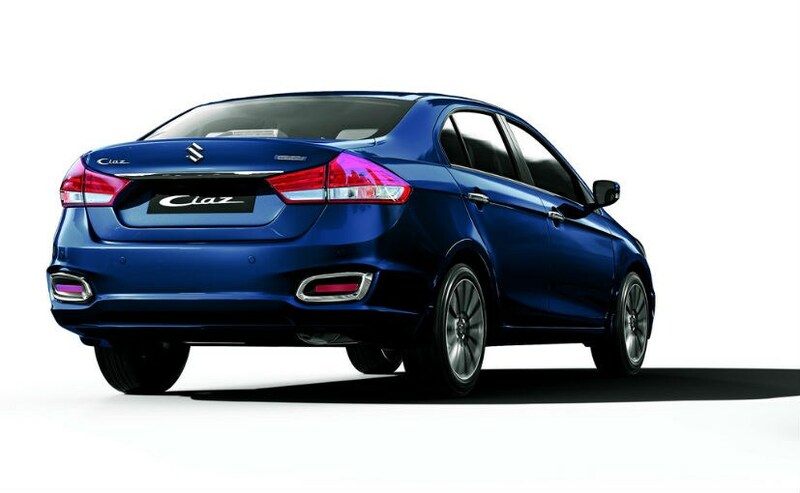 One of the biggest highlights of the 2018 Maruti Suzuki Ciaz is the new and bolder styling. The bland chrome-induced front has made way for a wider and black meshed redesigned grille. The headlight design has been revised as well to match the grille, and now comes with LED daytime running lights. Also new is the bumper design with larger air intakes and new fog lamp enclosures with LED fog lamps. At the side, the 16-inch precision-cut alloy wheels in the dual-tone Metallic Pebble Grey finish are new, while the rear gets minimal changes barring the new LED combination taillights and mildly revised bumper that gets a subtle chrome garnish. 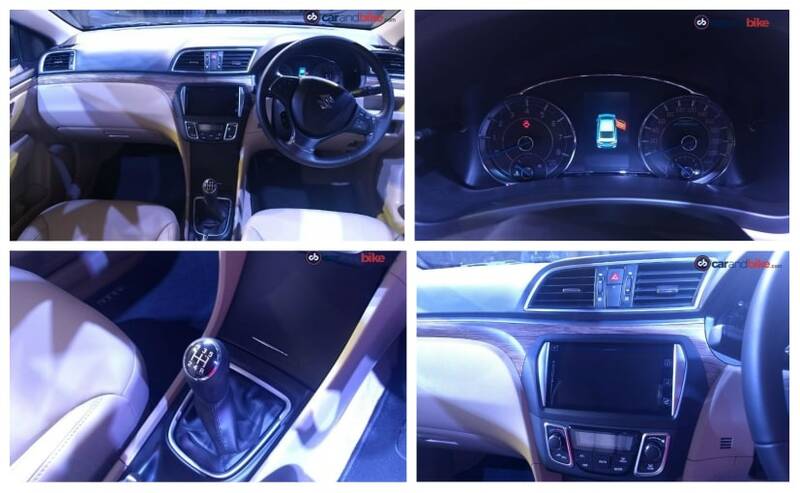 Inside, Maruti Suzuki has retained the same layout on the 2018 Ciaz facelift but the cabin now comes with a Birch blonde wood grain accents with a low-gloss finish. The cabin continues to get the beige and black colour scheme, while there are satin highlights on the dashboard and door trims. Maruti Suzuki has also incorporated a few handy features including the Eco illumination in speedometer which dynamically changes the colour based on the driving pattern. There's a new 4.2-inch coloured MID unit as well. The touchscreen infotainment display continues to handle all the audio, navigation and connectivity duties on the model. The biggest change on the 2018 Maruti Suzuki Ciaz facelift is the new 1.5-litre K-Series petrol engine. The new motor replaces the 1.4-litre unit that was seen on the predecessor and gets improved figures. The new engine makes 13 per cent more power with 103 bhp available at 6000 rpm, while peak torque out has gone up to 138 Nm at 4400 rpm. The motor comes paired with a 5-speed manual and a 4-speed automatic transmission. 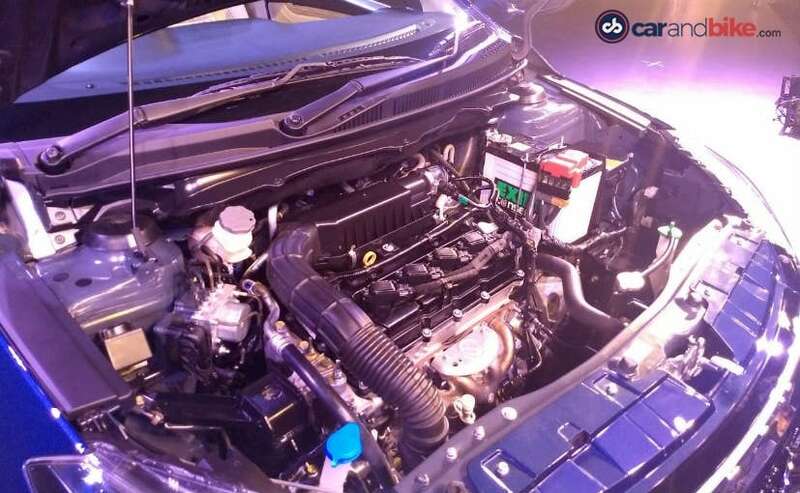 The new engine also comes with the automaker's Smart Hybrid by Suzuki (SHVS) technology for improved efficiency and lower emission norms. As a result, the 2018 Ciaz facelift is more fuel efficient despite the bigger engine and returns an ARAI certified figure of 21.56 kmpl, despite the bigger engine. The 1.3-litre DDiS diesel engine with 89 bhp and 200 Nm of peak torque, continues to be on offer with the 5-speed manual transmission. The ARAI fuel efficiency figure remains unchanged too at 28.09 kmpl. The new Maruti Suzuki Ciaz offers improved levels of safety with the addition of Electronic Stability Program (ESP) and Hill Hold function as standard on the petrol AT version. The co-passenger seatbelt reminder, speed alert system and reverse parking sensors are standard now across the range. The features are in addition to dual airbags, ABS with EBD and brake assist that are already offered on the sedan.